Courtesy of nice guy, real estate agent and golf enthusiast Michael Curet. Nice to see Tiger Woods having fun on the golf course. Here’s a shot of him as he celebrates his caddie Joe LaCava, who successfully landed on the 17th at TPC Sawgrass in the caddie tournament Wednesday at THE PLAYERS. Were you there? 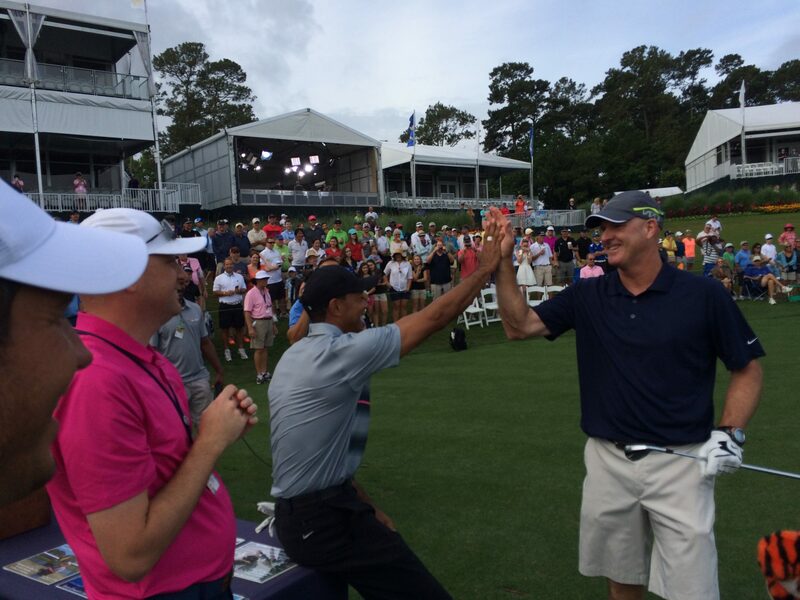 Did you get Tiger’s autograph?